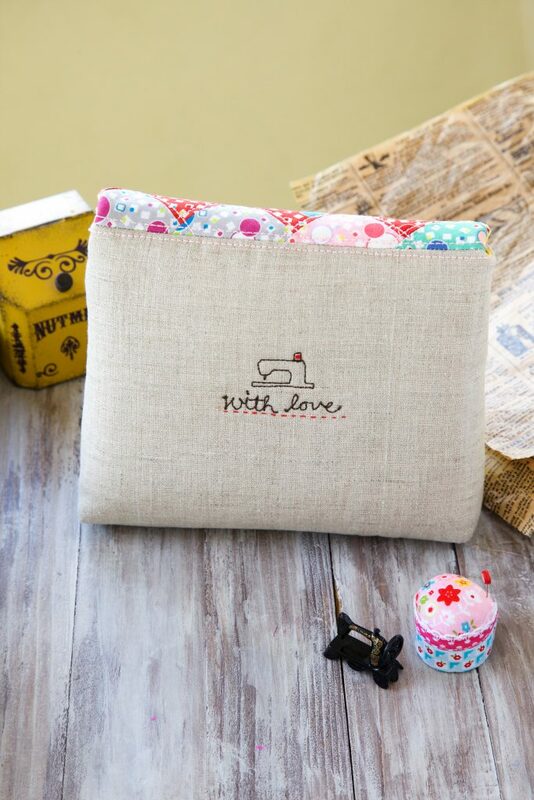 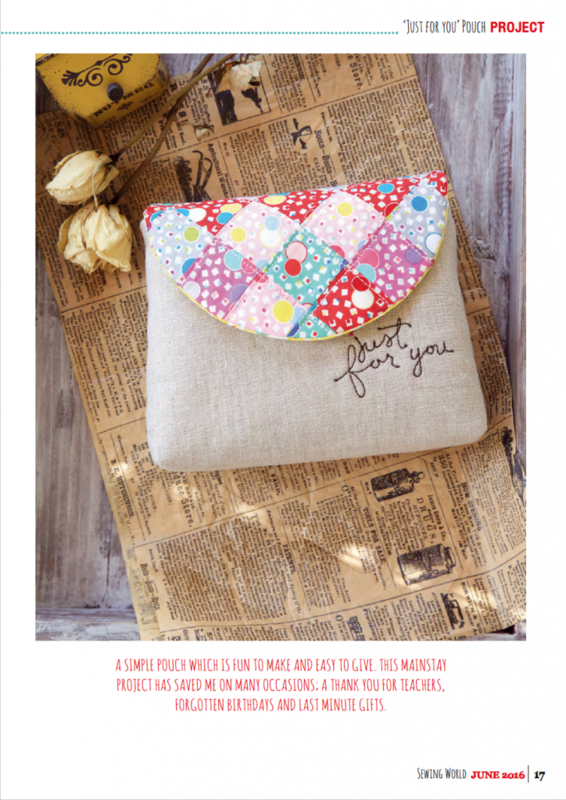 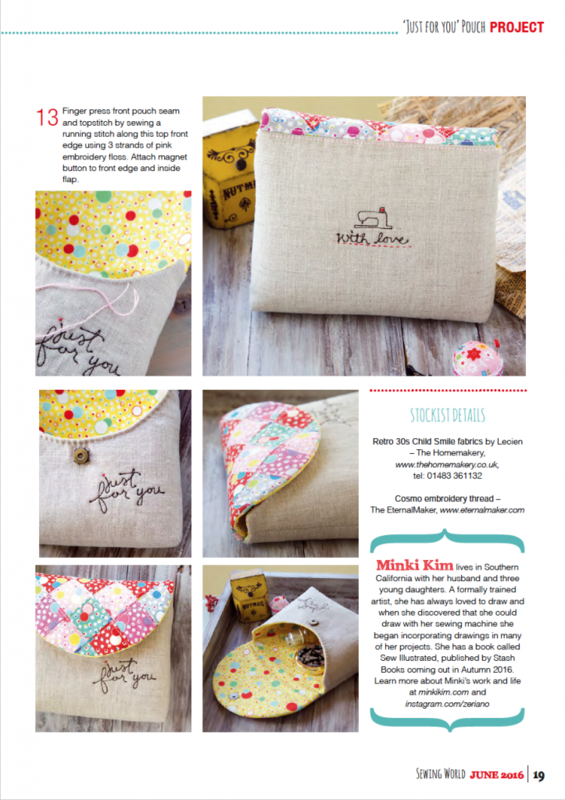 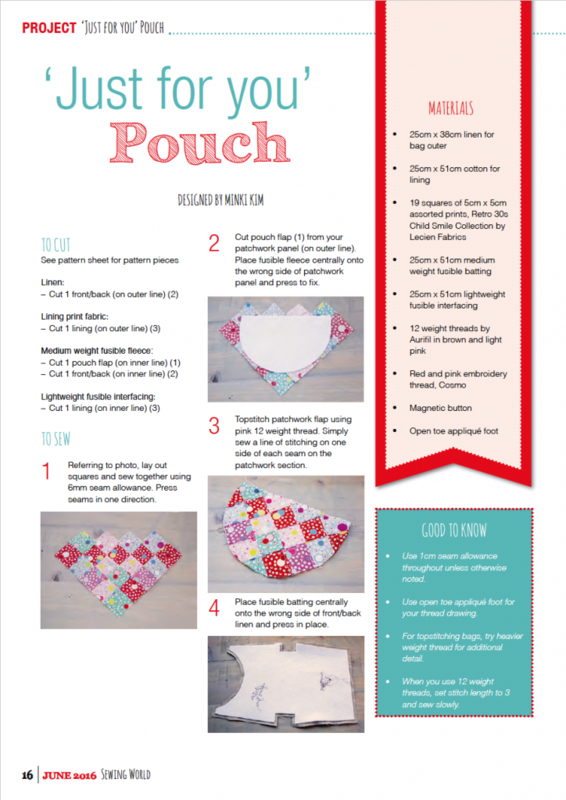 My Just for you Pouch was featured in Sewing World magazine June issue. 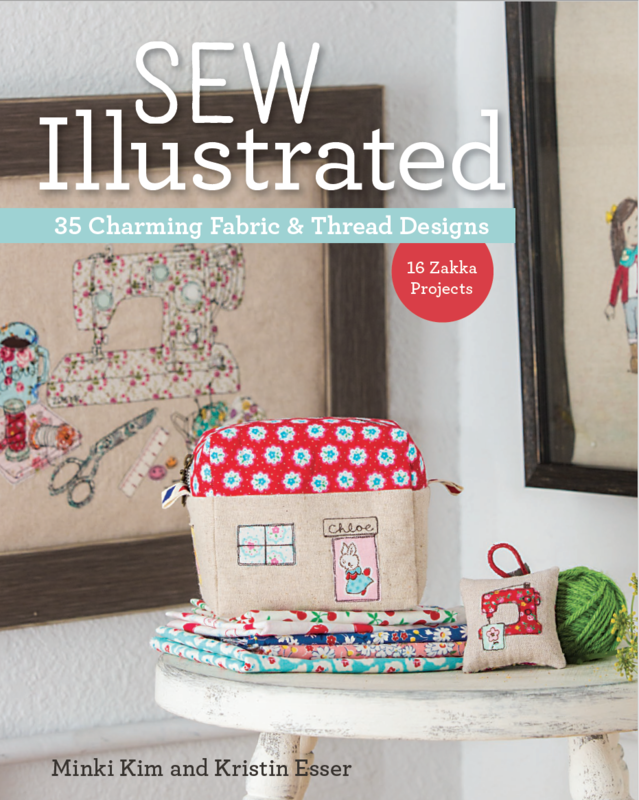 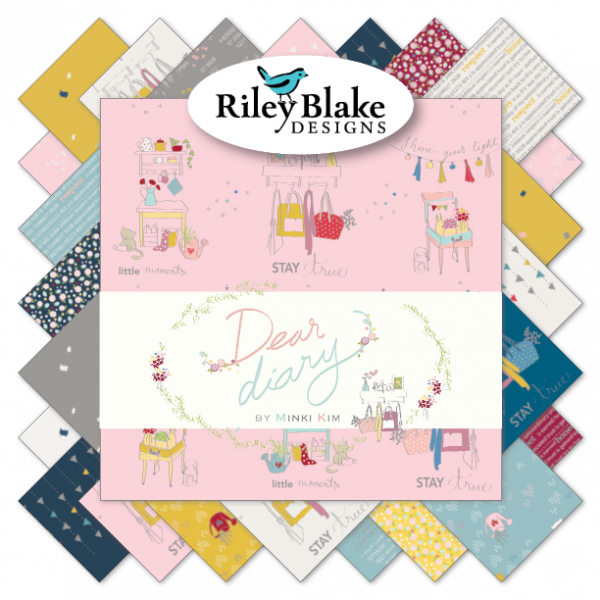 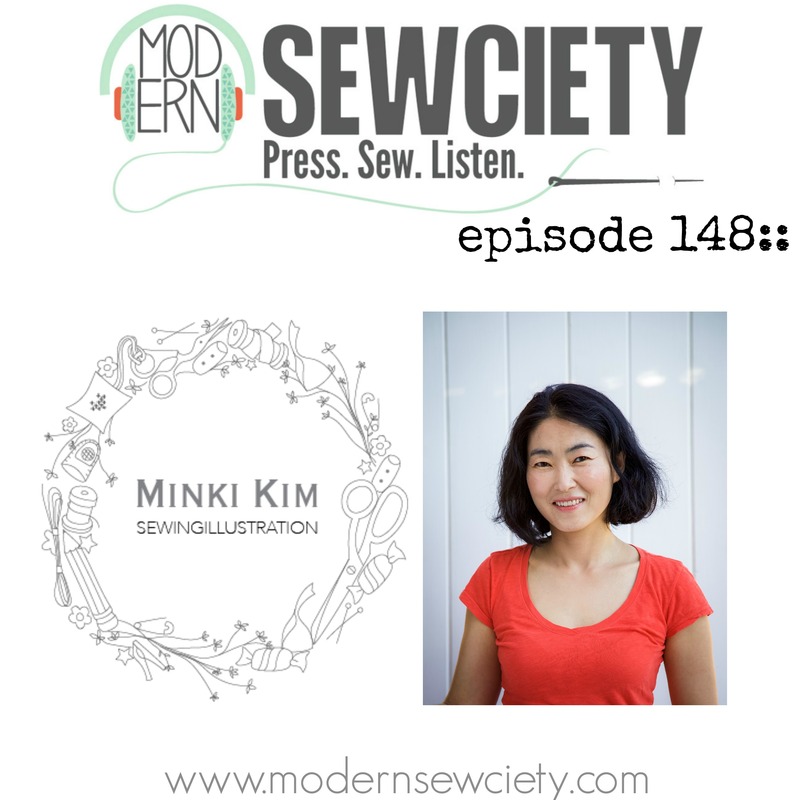 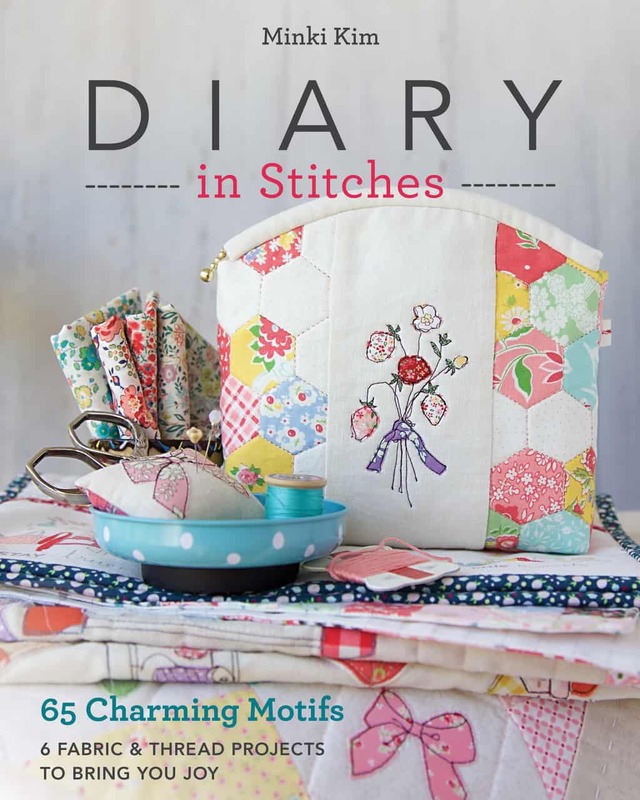 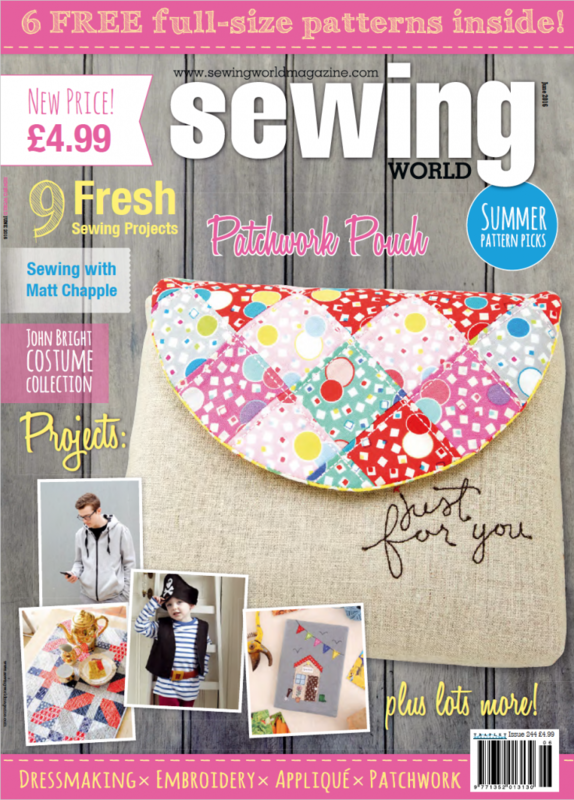 There is a DIGITAL version of Sewing Would magazine available here. 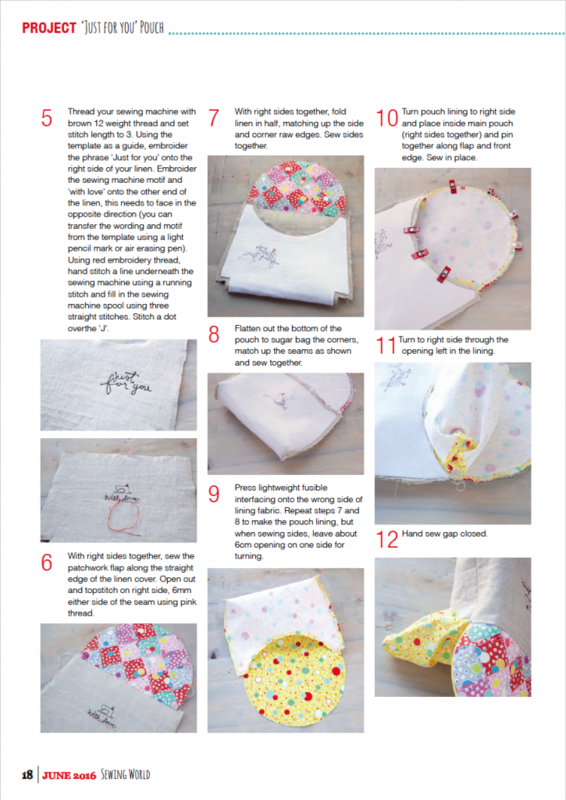 With a confirm from the Sewing World magazine, here are more details and How-to pages. 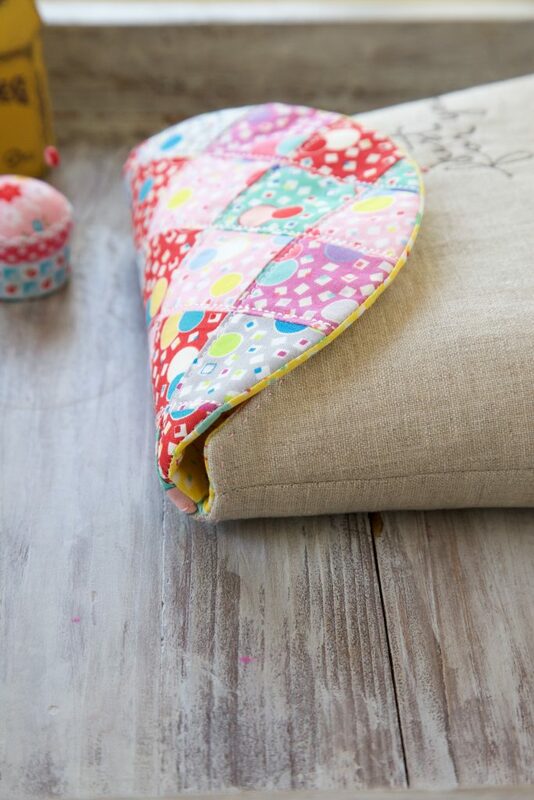 Aurifil 12wt. 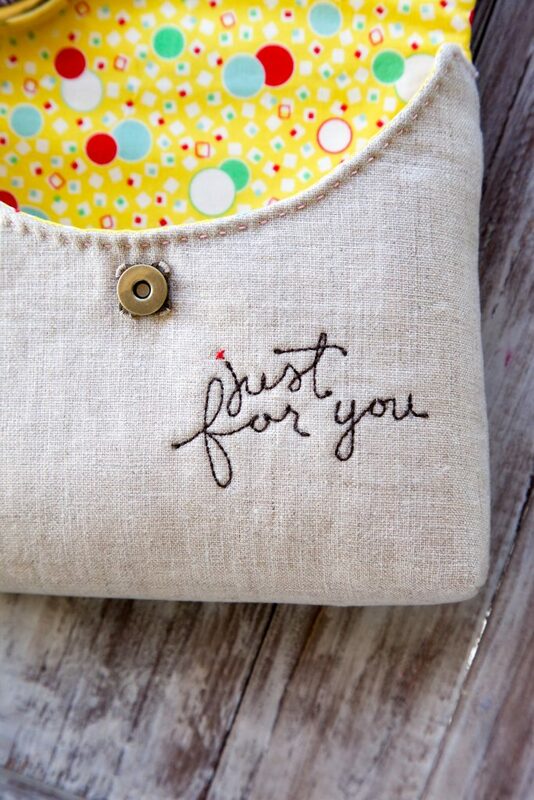 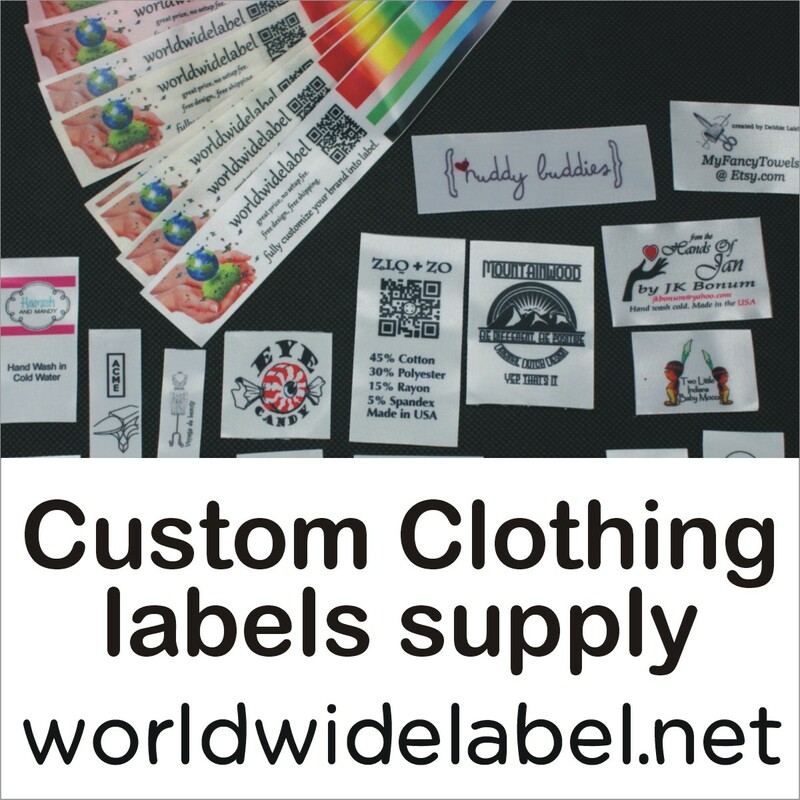 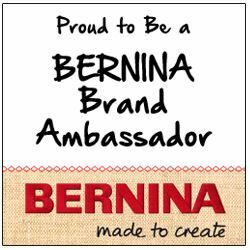 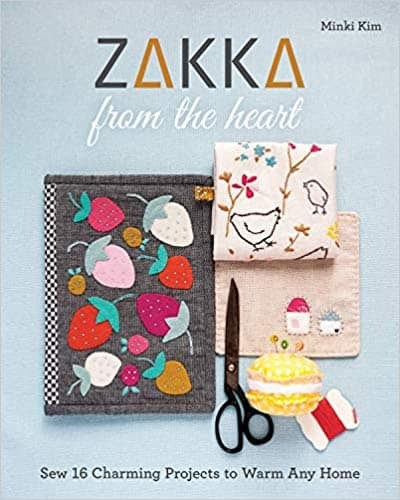 for both words and topstitch.